The tops of the hills were lost in an icy fog that day. As the travellers climbed they first lost sight of their surroundings and then of one another. Near the summit they felt, brushing against them, long threads damp with condensation. When brushed with a hand these threads vanished into nothingness, but with time they became more numerous and some were thicker, like cords or even ropes. Then, though a break in the clouds, they saw a stairway. Ascending the stairs they came to a great castle. It seemed to them that it hung suspended in the air from a thousand white ropes. Its walls were not like the great limestone blocks of the Gymondan palaces, nor like the dark brickwork of Relgen Tower. Instead, they seemed to be assembled from a great miscellany of stones, rocks and even wood. The clouds that clung to the hills seemed to surround the building also and nothing distant could be seen. Once the stairs were lost to view there was no sensation of being in the sky. Rather, the place seemed to hang in a great web, forever changing, with connections slipping and unmaking even as other formed. 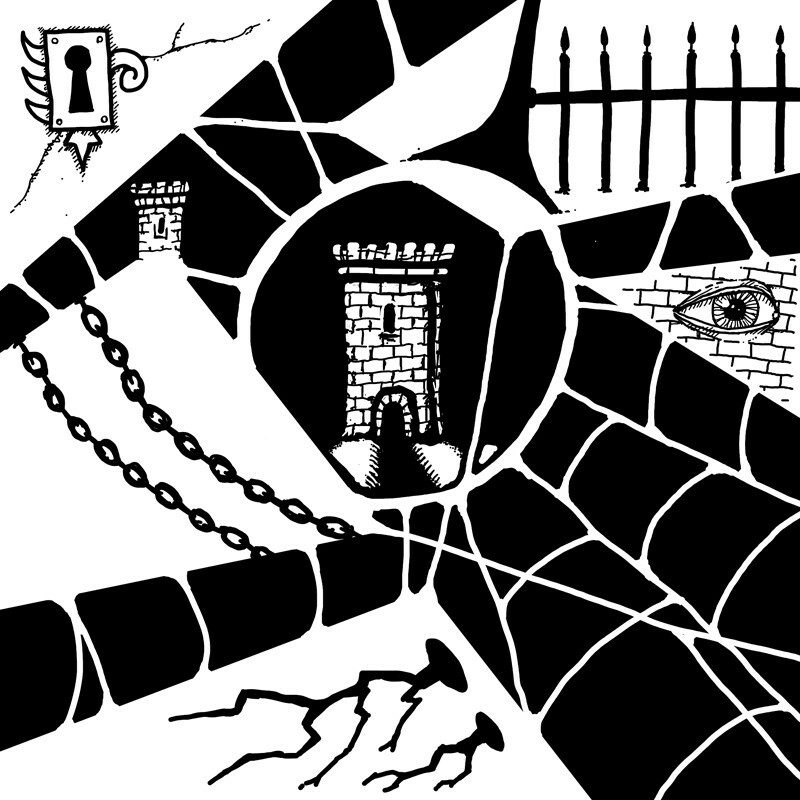 In the same way that Glandorfin is seen symbolically as a place of beginning, the Wrathweb palace is a place associated with endings. Both of its known masters, the former being Oyishu Han Taig, had close associations with death. Time is said to work strangely there. Many of those who enter never leave. Anyone seeking to locate and enter the palace has a difficult task on their hands. The mere fact of its existence is not widely known, even amongst those who study the secrets. Of those who know something of it, many assume the palace is a myth or that it once existed but stands no longer. And even if the palace can be located, the outer doors will be locked to most. As for why one might wish to enter the palace, there are many reasons. Knowledge is the most likely. There are beings living there capable of answering questions no other could. Seeking power is another possibility. There are ancient artifacts long lost to the world hidden within the palace’s many rooms. Also, for the right cause, there might be allies to be found here. Finally, there is the endless mortal obsession with extending life. When all else fails, the palace is rumoured to hold ways to avert oblivion.